I’m a firm believer in achieving everything you possibly can in camera, and only do what you absolutely have to in Photoshop (or ‘post-production‘). But sometimes even I have to eat my words when the opportunity presents itself. And recently it did. 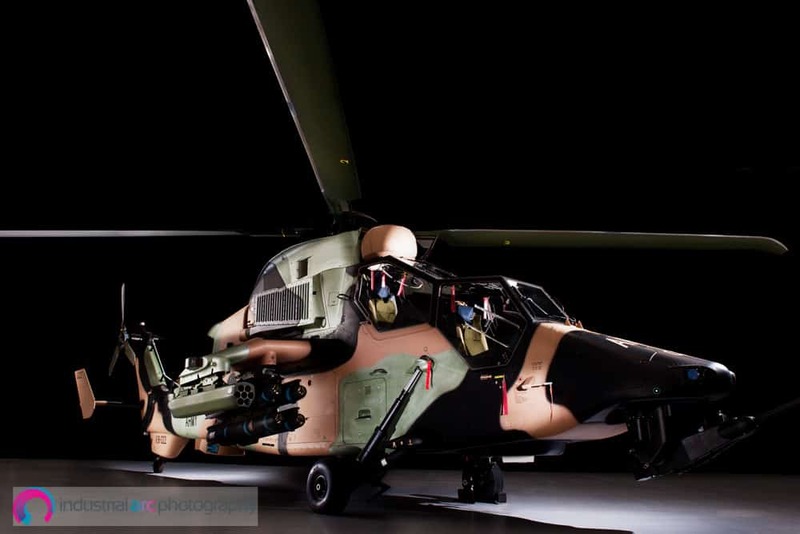 Airbus Defence and Space handed over its last production Tiger Helicopter to the Australian Defence Force. The machine itself has an impressive list of stats for the aviation nerds in the audience. For those who fly too much, try this instead. 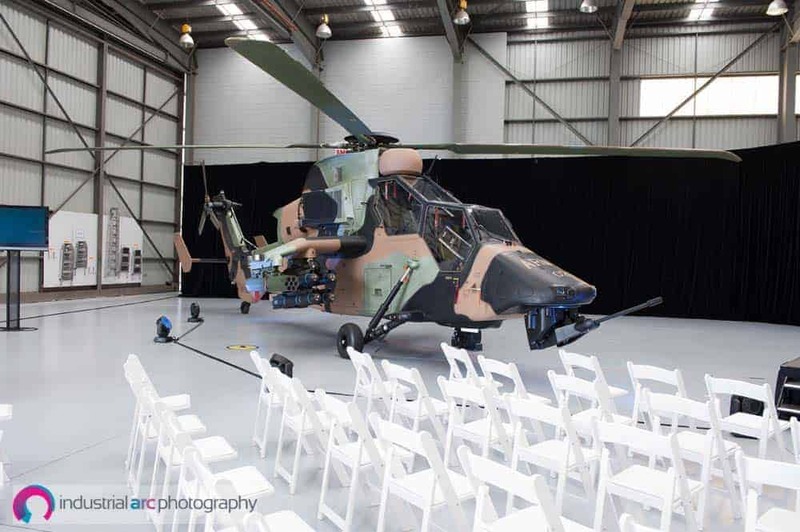 ARH Tiger ready to be handed over to the Australian Army during the final handover ceremony. This is the scene the ARH Helicopter was located in; a hangar at Brisbane Airport. It was a bright sunny day with most of the hangar doors open. Plenty of natural light was flooding the helicopter. Once all the official business was done people were wandering around the Tiger, staring. Muttering to themselves things about its extreme angular accuracy for target designation (I absolutely googled that). I was also lurking around it, but I was paying attention to the light and shadows, noticing how the natural light wasn’t doing anything to show off the beauty or inherent power in this machine. I was talking to myself. A lot. People were staring. As I stood next to the helicopter with my flash gear I felt a little… overwhelmed. Like it’s namesake the Tiger looks beautiful but imposing up close. I had a really specific image in mind. I also wanted to cut out all the background distractions visible in the natural light image. It’s very difficult to do that with natural light pouring in and the roof being so distracting. ARH Tiger, without chairs and with a bit more love from the flash (the photographic accessory, not the superhero).